Ride a roller-coaster and defeat the Villaintriloquist and his evil Puppet. 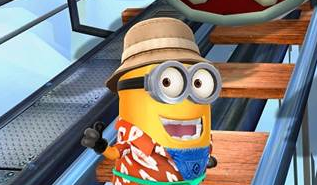 We hope you still play Despicable Me: Minion Rush, because Gameloft just released a cool update. This time, you'll explore the amusement park inspired Super Silly Fun Land, and there's more to this environment than new eye candy. In addition to hitching a ride on a roller coaster, you'll battle the Villaintriloquist and his evil Puppet, drink the PX41 Serum to turn invincible and become the Astronaut or Tourist Minion. Catch a glimpse of Super Silly Fun Land in the new trailer.